The weather in March allowed us to get four or five days of early spring field work done before it turned back wet and cold. We were able to get about 700 acres leveled after last fall’s tillage so it will be ready for the fertilizer and herbicide applications. It also allowed us to rebuild and re-seed a couple waterways. The planters are ready to go as soon as the weather warms up and the fields dry out. 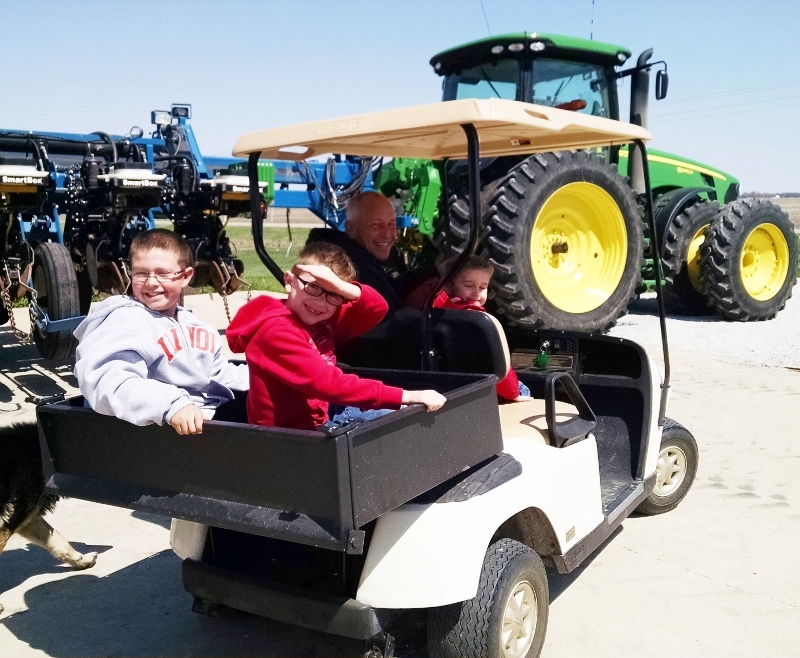 Rod’s grandsons were down for the week and were able to help out on some of the planter repairs.